You still run adksetup.exe to install or download the updated ADK, but you do see that the new ADK is slightly bigger than the previous kit. The Patches folder content also have a higher version number. The October 18, 2013 release of Windows 8.1 ADK had a folder named 8.100.26020, but the April 2, 2014 release of Windows 8.1 ADK have 8.100.26629. New features in ADK 8.1 are the WIMBoot option, updates to dism, updates to WinRE and a new WinPE version (5.1). There are also fixes for USMT. DISM: Does not support Windows Vista or Windows Server 2008 images. Roaming user profiles on Windows 8-based or Windows Server 2012-based computers are incompatible with roaming user profiles in other versions of Windows. Note In this article, when the client operating system is referenced, the same issue applies to its corollary server operating system. After you use a user account that has an existing Windows 7 profile to log on to a Windows 8-based computer for the first time, the components from Windows 8 read and modify the profile state. Certain Windows 8.1 features may not work as expected because the expected profile state is not present. When you try to use the same user account to log on to a Windows 7-based computer, the user profile modification that was performed in Windows 8 may not work as expected in Windows 7. The issues occur because the profile will contain values that are used differently between the versions of Windows. The user profile will be missing default profile configuration information that is expected by the operating system, and could contain unexpected values that are set by a different operating system version. Therefore, the operating system will not behave as expected. Additionally, profile corruption may occur. 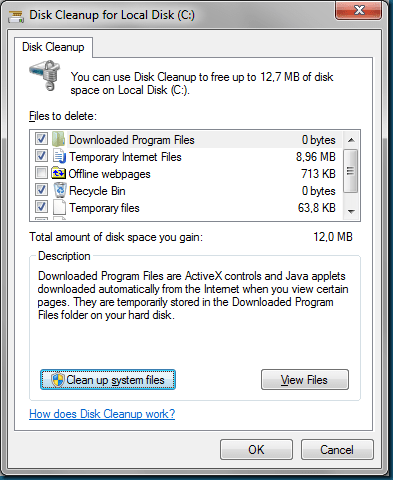 Microsoft released an update yesterday for the Disk cleanup utility. The problem Windows keeps copies of installed updates from Windows Update, even after installing newer version of updates. So the older versions of updates that are no longer needed and taking up space. In Windows XP era the uninstalls were just hidden folders under Windows directory so easy to clean. Since Windows Vista this is now stored in the Windows Services folder WinSXS. The space used by WinSXS can grow significant. In the past you could remove Service Pack uninstall files which helped, but Service Packs are not so common anymore. I think Windows 7 will never see SP2, yet the updates keep filling the WinSXS folder every month. 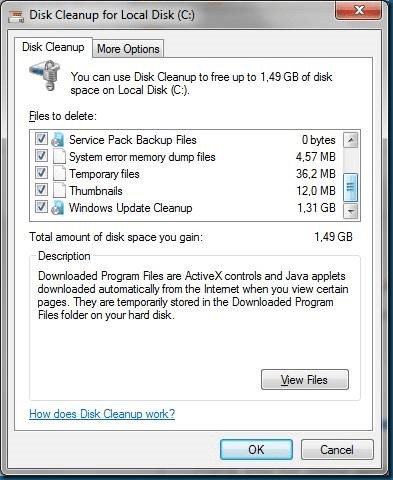 This update of diskcleanup delivers a new option Windows Update cleanup which deletes older versions of updates that are no longer needed and just taking up space. Now unfortunately this update is not available for Windows Server 2008 R2, while there are plenty scenarios where cleaning up WinSXS folder is helpful there too! This download includes Group Policy Administrative Template (ADMX/ADML) and Office Customization Tool (OPAX/OPAL) files for Microsoft Office 2013. This download includes Group Policy Administrative Template files and Office Customization Tool files for use with Office 2013 applications. It also includes an \Admin folder with an Office Customization Tool, and ADMX and ADML versions of Office 2013 system Administrative Template files. For administrative template files, you may use the combination of ADMX and language-specific ADML files on computers running at least Windows Vista or Windows Server 2008.